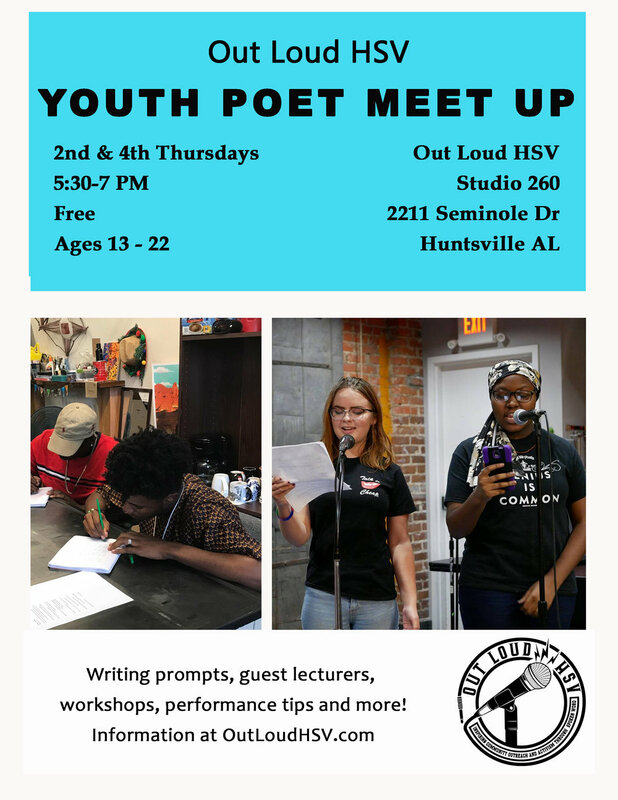 Join us Thursday, at the Out Loud HSV studio for a Youth Poetry Meet Up. Geared towards ages 13-22, this meet up will be a chance to connect with fellow writers and work on performance and craft in an ongoing group critique format. Located in studio 263 of the Flying Monkey Arts Center.